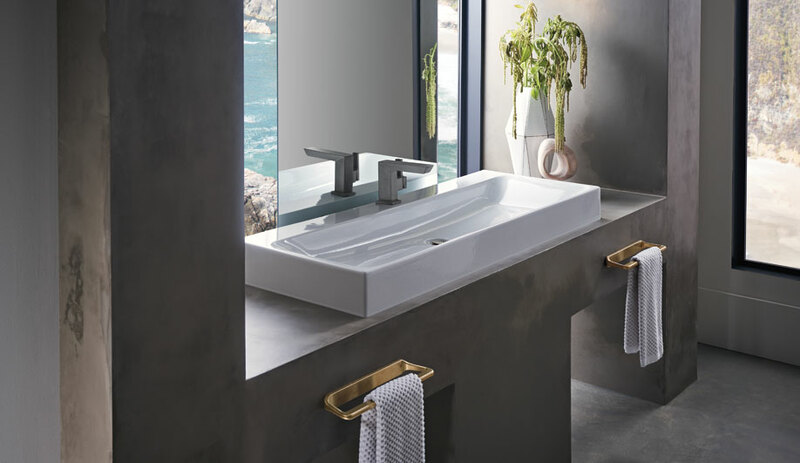 The latest fixtures, tubs and sinks for the bathroom – from the likes of Boffi, Dornbracht and Antoniolupi – exude a pared back aesthetic, in matte or metallic finishes. 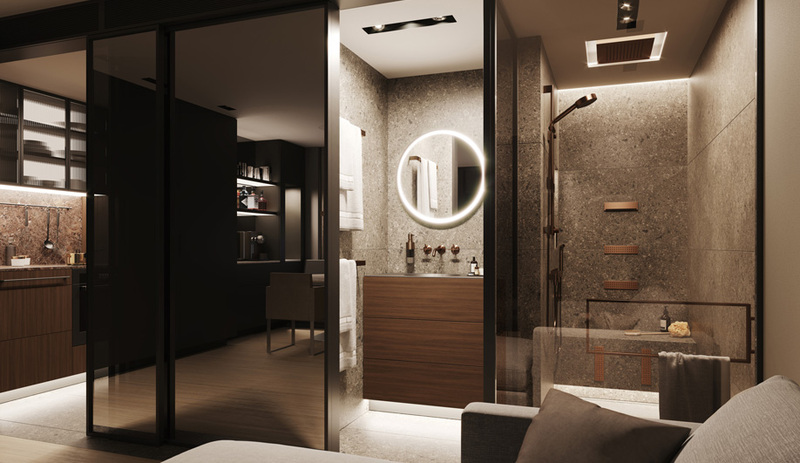 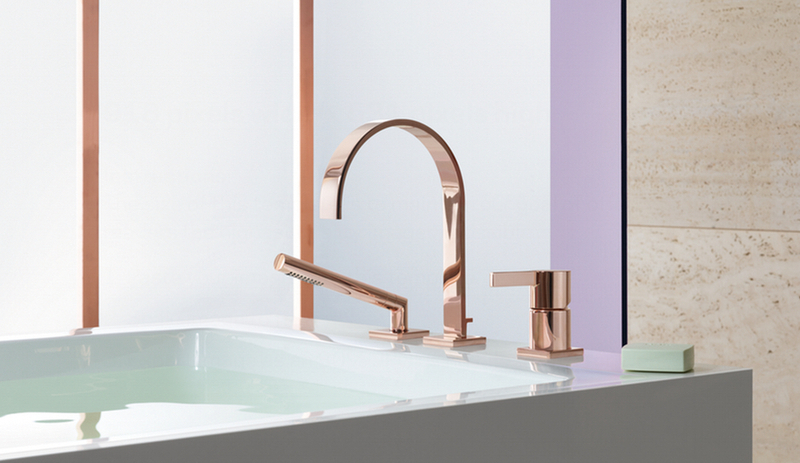 Dornbracht applied Cyprum, a rosy, high-gloss finish combining 18-carat gold and copper, to several of its latest lines of fixtures. 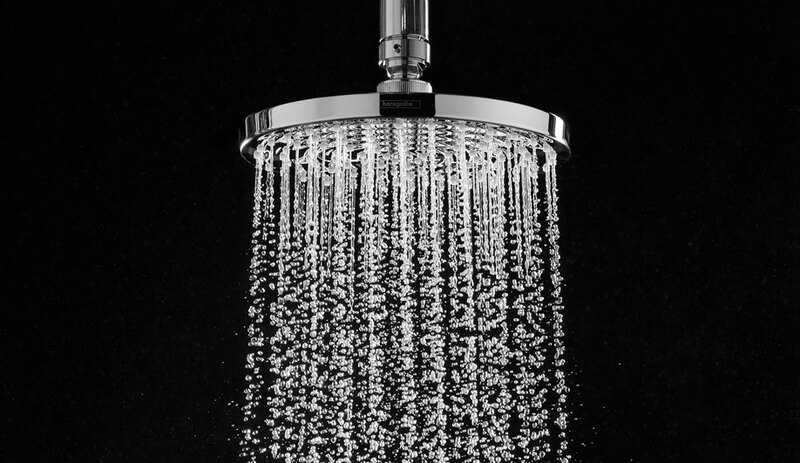 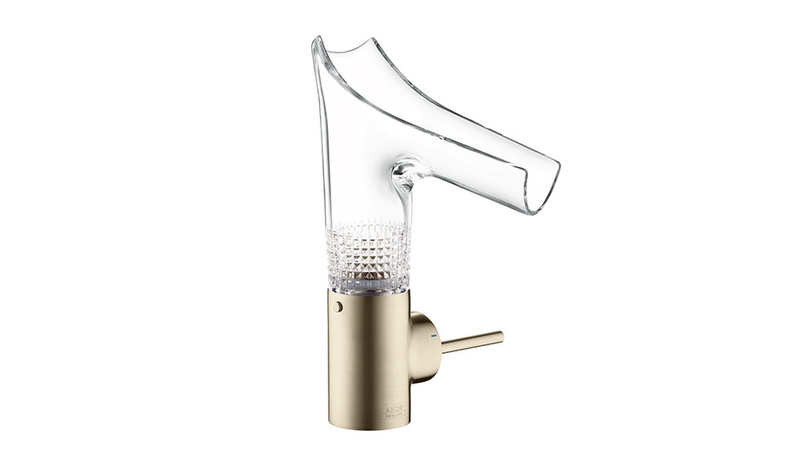 The MEM collection includes a faucet with a flat, wide spout, a handheld showerhead and a tap. 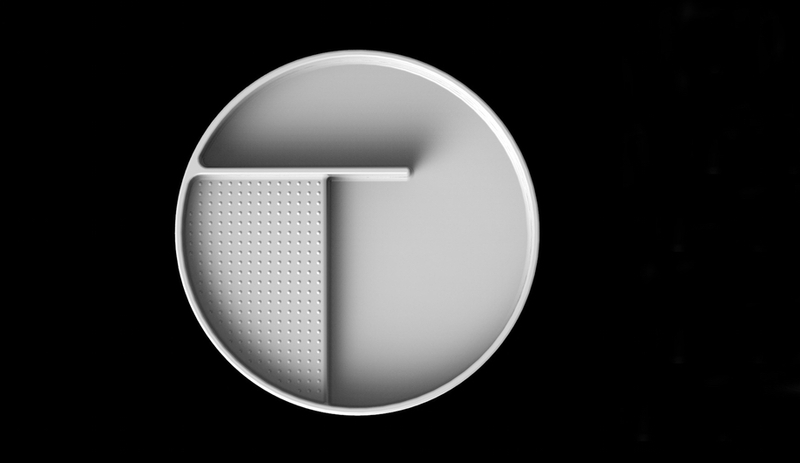 Victor Vasilev’s striking system consists of a basin adjacent an open-faced storage compartment. 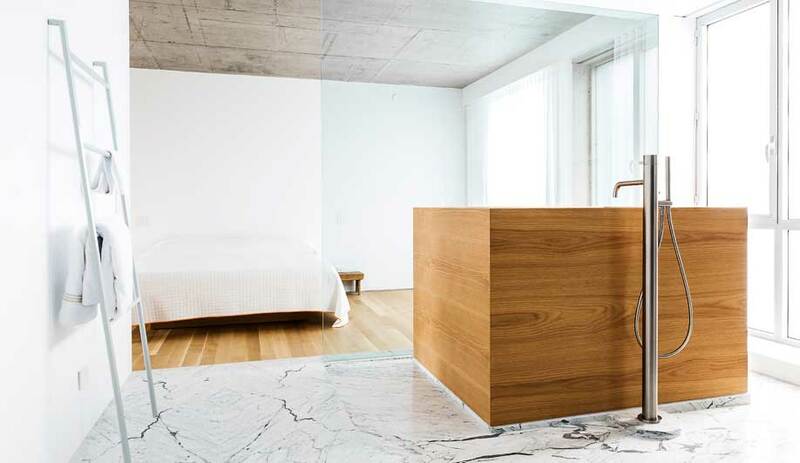 It comes in two contrasting versions: a single sink in matte-white Corian placed on the right or left side of a matte-black PaperStone Slate storage unit, or two sinks arranged on either side of a central unit. 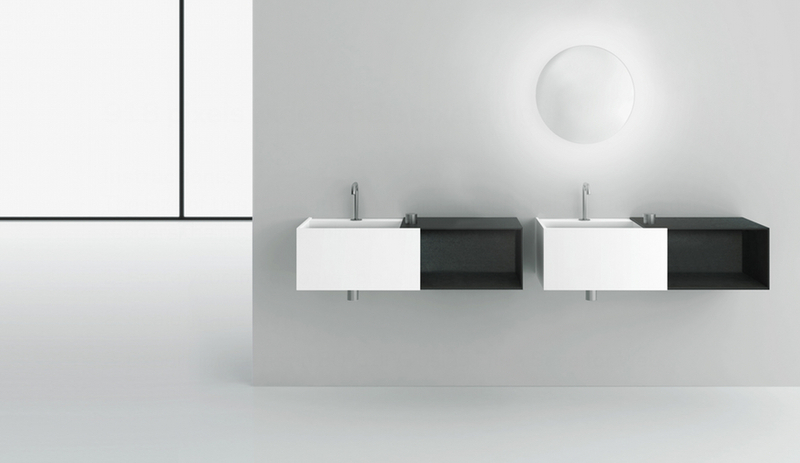 The Swiss bathroom company invited Konstantin Grcic to create a geometric collection that boasts washbasins, trays and a bathtub – all in its tough and hygienic ceramic, which contains a compound found in sapphire. 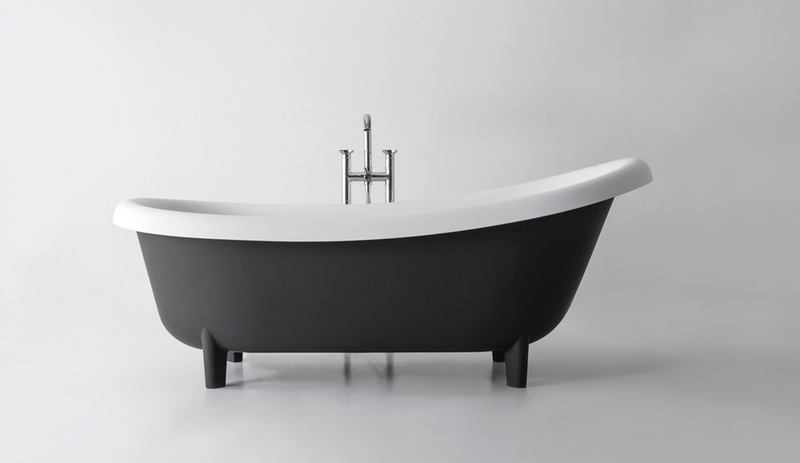 Made of bio-based and recyclable Cristalplant, Roberto Lazzeroni’s striking bathtub for Antoniolupi is defined by its soft, sinuous lines. 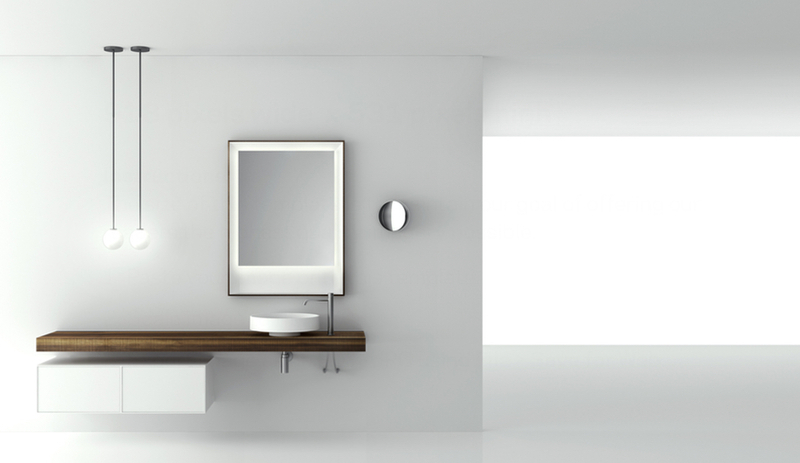 The free-standing piece, in one size, also comes in white.